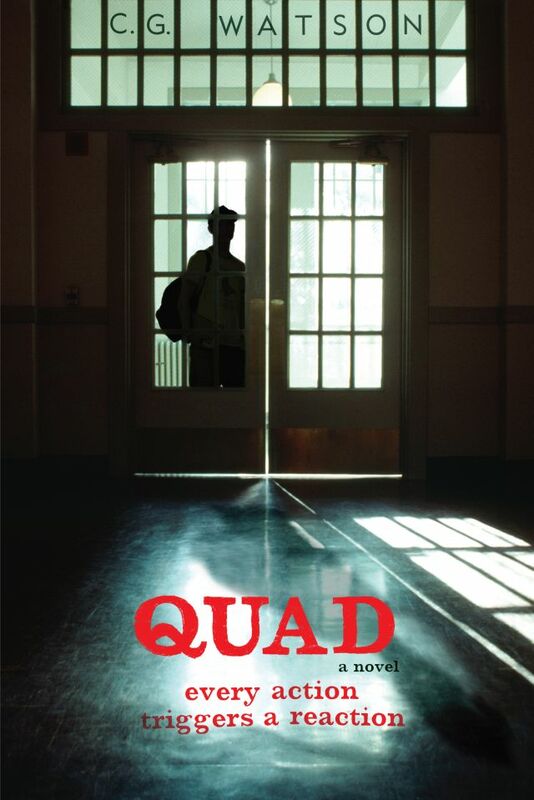 This story focuses on high school students from different cliques being thrown together in fear as an unknown shooter begins to take out students in the quad. The six students all have their fair share of insecurity and have battled in high school antics, but they have trouble deciding who they think has snapped and brought a gun to school. As accusations and fears fly they all must evaluate their own behavior as well as the behavior of others in the school. They quickly realize that more than one person has reason to bring a gun to school. Will they survive this threat? This is a very accurate portrayal of the different cliques present at most high schools. Along with the cliques comes the cruel treatment and calculated bullying and insults. While accurate, parts of this story are difficult to read and may bother some students. Quad is not the best bullying book out there, but would work well in combination with others such as Hate List and Wish You Were Dead and would be interesting to reluctant readers. This is a timely story. Only yesterday a shooter terrorized the University of Texas at Austin campus. Fortunately, no one was hurt except the shooter. We should understand what we mean to each other before any shooter makes it necessary to find out. If you like realistic teen fiction, you may like my current project.